Swift on the heels of the much larger Eldar codex review, we’re taking a look at the new Imperial Knights codex. Despite getting pretty massively beefed up, it’s still a pretty small list, so we’ll be doing this all in one go. There wasn’t a collectors edition, so there’s no reviewing the collectors edition (not that I would have bought it). But the standard edition of the book is beautiful – great artwork, almost all of it new because of the freshness of the faction. It’s a great book to read, with a lot of style. Unlike the Eldar book, where I thought the color plates were a little contrived, in the Knight book they make sense due to the sheer amount of individuality and heraldry involved in a Knight. Each and every one is a centerpiece model, and should get the individual attention accordingly in a way a random Aspect Warrior or Tactical Marine shouldn’t. There’s also little touches – small ink splotches, sketch lines etc. that make it feel like you’re reading someone’s drawing, rather than something perfectly rendered on a computer. It adds a little bit of…humanity…to the codex. The fluff is good as well, though it focuses entirely on the Knights in combat. Gone, after only a year, are the references to the consorts, inner-house politics, etc. I genuinely miss that – it was a glimpse into the way Knight planets actually work, and fodder for individual character stories, etc. It would be super easy to model a consort as an Inquisitor and play a Knightly house and their retainers, etc. In exchange, there’s much more detail on how a Knight army, be it Imperial or Mechanicum aligned, is actually organized. The choice in units has blossomed from 2 (really one with two gun options) to 5, with a fair number of options. It’s still a pretty limited list, but there’s definitely more now. Knight Errant. The Knight Errant is no longer the cheapest option (more on that later), but otherwise remains unchanged. They do however get access to a number of options – a Thunderstrike Gauntlet, and a number of carapace weapons, which we’ll discuss at later as they impact all the Knights. The Errant can also swap out their heavy stubber with a meltagun for 5 points, which is an interesting – albeit short ranged – option. Knight Paladin. Again, same as before, with the option to swap out his Reaper chainsword for a Thunderstrike Gauntlet, the ability to take new carapace weapons, and swapping out the heavy stubber on the superstructure for a meltagun for 5 points. I think, personally, that makes less sense for this unit – given it already has a heavy stubber, you might as well go all in with the large volume of middling shots. Knight Gallant. The cheap kid on the block at 325 points, it’s a specialized melee Knight, with both the chainsword and the gauntlet. Again, the heavy stubber to melta swap is an option, which makes more sense as, to be blunt, if you’re not in the thick of things with this guy, you’re doing it wrong. Carapace weapons give the Gallant some options in the shooting phase, which might be handy, but again, I feel like anything other than it’s 4 (5 on the charge) melee D attacks is burying the lead. Knight Warden. Costing the same as a Paladin, I dispute that the Warden is really a new unit, as much as a different weapon option for the Paladin, essentially rendering a ranged infantry killer by converting the arm weapon into the new Avenger gatling cannon with a built-in heavy flamer. Both melee weapons, the carapace melta gun and carapace weapons are all options – I’d probably skip the melta gun (again, we’re going for scything down infantry with this guy), but there’s a lot of potential in the carapace weapons. Knight Crusader. By far the most expensive Knight at a stock 425 points, the Knight Crusader both looks awesome, and is a walking ranged firebase, with both the avenger gatling cannon and the thermal cannon, the latter of the two which can be swapped out for the rapid-fire battle cannon. The sundry other options exist, as usual, and for this guy I’d absolutely skip the melta gun, but seriously consider both the cannon and carapace weapons to allow you to reach out and, well, riddle someone with holes. I’m particularly excited about the Crusader because Knight armies previously struggled with objectives – not only do they have a very small number of units, but previously, sitting on an objective meant (by and large) wasting their marvelous melee D attacks. The Crusader doesn’t have this problem – sitting back and babysitting an objective while still hurling out massive amounts of firepower is a perfectly legitimate battlefield role. And even in combat, without the D chainsword, it’s still not exactly a slouch. …and that’s it. That’s all the units. Yikes. While outright killing a Marine or Terminator squad is unlikely, there’s good odds at kicking them below half-strength in a single round of shooting. 7th Edition pushes volume of fire pretty heavily, and well, this has volume of fire. It’s also a significant threat to light vehicles, though I don’t have simulation results for these, because rending and penetration roles for vehicles is proving remarkably difficult to code up. But seriously…it’s a nice gun, and unlike the battle cannon, not bounded by how many models can be fit under the base. Ironstorm Missile Pod. One of the carapace weapons, this can be fired in addition to your main arm-weaponry, and is a 72″ range, S5 AP4 Heavy 1 Barrage Large Blast weapon. What’s not to like about that, especially for rooting out units hiding behind cover? Stormspear Rocket Pod. Another carapace weapon, this has a shorter but still considerable 48″ range, and is S8 AP3 Heavy 3. Definitely a Marine-killer, and pretty scary as an “Oh yeah…” extra set of shots. It also gives Knights more ways to threaten vehicles from range, and combined with the Thermal Cannon you’re looking at some serious vehicle killing power. Twin Icarus Autocannon. The last of the carapace options, the Icarus attempts to resolve one of the issues the Knight codex has – it’s difficulty dealing with fliers. It’s a 48″ range, S7 AP4, Heavy 2, Interceptor, Skyfire, Twinlinked weapon. That sounds great, but how good is it really?  Above is the number of hull points removed in a round of shooting against AV 10 (pink) and AV 12 (blue) fliers – representing something like a Crimson Hunter vs. one of the Space Marine fliers. At the moment, I’m not modeling the *impact* of penetrating hits, so mentally shift everything a bit to the right to represent Explodes! results, because some of those 1’s and 2’s are penetrating hits. But generally? Not super-thrilled. Well over half the time versus a Space Marine flier it doesn’t do anything, and even against much more fragile vehicles it’s decent but not awe-inspiring, especially when you consider that these fliers aren’t modeled as jinking. It’s a nice addition to the Knight arsenal that takes it from “Helpless” to “Might be able to deal with a flier heavy army”, but a single Icarus auto-cannon isn’t enough to reliably clear the skies. The Avenger is, I’d argue, actually considerably stronger against low-armor fliers, thanks to the volume of fire from the gun itself meaning with a few sixes you can actually functionally down the flier in one go. It’s considerably less effective against AV 12 fliers because it’s relying purely on glancing and rending (again, shift the teal distribution a bit to the right) but that’s enough 6’s you need to roll that volume of fire isn’t doing it. The Stormspear is…interesting. Odds are its ineffective – it just misses. But a non-trivial number of times it scores a hit or two, and those hits are much more likely to be penetrating hits (practically guaranteed vs. the AV 10 flier). If we’re talking about flier defense as “Well, I made them jink…”, the Stormspear may be an interesting option to take, and probably the more multi-functional of the two. Basically, it’s a question of whether or not your opponent is willing to risk getting destroyed on a good set of rolls even if the expectation is that there’s going to be no hits – this is a trade-off at the heart of the idea behind Variance Hammer. On average that Crimson Hunter was fine, but in 500 of those 2500 games, they were staring down one or more penetrating hits. Thunderstrike Gauntlet. A Strength D AP2 melee weapon, it trades hitting at initiative 1 (vs. at 4 for the chainsword) in exchange for Hurl.  Basically, if you kill an enemy tank or monstrous creature, you can throw their wreckage/corpse up to 12″, doing an AP – Large Blast resolved at a strength of the toughness value of a Monstrous Creature or 1/2 the Frontal Armor of a vehicle. Worth it? Probably not…but wacky fun, and the gauntlet looks good. The one time it might be worthwhile is if your local meta is teeming with higher initiative models, like say…Wraithknights. Then it might be worth the fairly cheap upgrade because you’re going last anyway. Games Workshop changed up the detachments for Imperial Knights a bit. Now there are two main detachments, allowing you to take Knights as your main force, or as auxiliaries in another Imperial force. The big news for both is now that Knights are absolutely Lords of War, which means if your local tournaments are banning Lords of War (hi NOVA Open…) something’s got to change or your leaving your Knights at home. Household Detachment. Three compulsory Knights, and two optional Knights, this is the “I’m taking this as my army” detachment. Importantly, it gives all the units from this attachment Objective Secured (yes, Objective Secured Knights – good luck getting someone off that objective), lets you re-roll a result on the Warlord table (which I’ll discuss in a moment), and lets you designate a “Lord Baron”, who gains Character, allowing them to challenge and take the heirlooms in this book (also discussed below). Finally, they also get +1 WS and BS, which is way better than the old table, which could potentially knock you down a WS and BS too. Oathsword Detachment. This is how you mix Knights into another force. With one compulsory and two optional Knights, that’s…well…that’s it. Do you want a Knight or dontcha? Exalted Court. A Household Detachment on steroids. You must take five Knights in this formation. In exchange, each Knight gets Character and can take heirlooms. Before deployment, you can designate one Knight as the High King or Princeps (same difference) who gets +2 to BS and WS and increases their ion shield invulnerable save by 1. Everyone else gets +1 to BS and WS, and finally the Warlord gets to re-roll on the Warlord Traits table. Basically, if you’re taking a five Knight army, I don’t think there’s a reason not to take this. Baronial Court. Another solid formation, again mandating three to five Imperial Knights. One model becomes a Baron with the now familiar Character and +1 WS and BS, re-rolling warlord traits if this is your primary detachment and heirlooms. When fighting in a challenge, you re-roll failed to hit rolls, and any Knight from this formation within 6″ of another knight, it adds one to the ion shield for the front arc. This is a little bit more of a trade-off, rather than my feeling of “Oh yeah, do that…” for the Exalted court. You give up Objective Secured for some fairly powerful but somewhat less flexible rules. If you’re looking to play your Knights aggressively though, and have other elements of your army holding objectives, it’s definitely worth looking at. Warden: Enemy units have -1 to cover saves when taking fire from this formation. Gallant: All models in this formation do d3 Hammer of Wrath hits instead of 1. Crusader: Blast weapons from this formation are twin-linked. Being locked into a single unit and having the composition dictated to you are pretty restrictive, but those are some nice rules, and being fielded as a single unit means lots of Stomp hits spread over a wide area. But being leashed to each other as a unit means you’re going to have to spend whatever in your army isn’t three Knights holding onto objectives, because the formation is going to struggle with it. Gallant Lance. All The Melee. Seriously, three Knight Gallants. They get Crusader and Rage, and re-roll failed charge distances. If you want to absolutely destroy something in melee with a hurricane of Strength D weaponry, and want to spend three Knights doing it…well, this is the formation for you. It feels great for Apocalypse games, but honestly, I think it’s a particularly expensive one-trick pony for regular games. Skyreaper Lance. As mentioned, the Icarus autocannon is dangerous but, I’ll admit, a little unimpressive. The Skyreaper Lance uses the approach of doubling down on said weapons to try to make up for it. Every Knight in this formation must take the Icarus autocannon, and in exchange, you can re-roll failed armor penetration rolls – including glances in order to go for a penetrating hit and to-wound rolls via flying monstrous creatures. …that might actually make them decent. It is however giving up a lot for that anti-aircraft power. Three other carapace weapons. You will definitely shred some aircraft with that, re-rolling To Hit, To Wound/Armor Penetration, and Interceptor. But it feels extremely specialized. If your opponent is me, and utterly addicted to low armor Eldar and Dark Eldar fliers carrying around lance weaponry, this is probably worth doing. But if your opponent isn’t taking a lot of fliers and skimmers? You’re looking at 105 points of wasted carapace weapons snap-firing at other targets. This is the wargear for the Character knights, and hilariously the “big” cards that come in the data cards, because there’s literally nothing else to put on them. Banner of Macharius Triumphant. All friendly Imperial units within 12″ must re-roll failed Morale, Pinning and Fear tests. Definitely useful for keeping fragile allied units from running, and 12″ from a Knight’s base is a remarkably large bubble, but this is only useful if you are taking allies, expect those allies to run, and intend to keep your Knight close enough to help. At 10 points, it’s likely worthwhile if your answers to this are “Yes”, and if you don’t want to take another piece of wargear, as each Knight is limited to one. But if you’re running the Exalted Court and using one of your five Knights to anchor your line, it may very well be worthwhile. Helm of the Nameless Warrior. Thirty points for Rampage. You’re almost certainly going to be outnumbered, and more Strength D attacks are never bad. If you’re looking to simply wade in and get things done, this is probably money well spent, unless – again – the local meta is dominated by counters to things like this, like Wraithknights, where Rampage won’t be as useful. Mark of the Omnissiah. Thirty points for It Will Not Die. This one I really like. Unless you’re winning so soundly that none of this matters at all, odds are there’s always a little bit of utility coming out of It Will Not Die. I don’t tend to tailor my lists to a specific game, which means I like things with constant utility like this. It is a little spendy, but having been on the receiving end of It Will Not Die, it’s pretty frustrating as a power for something as durable as an Imperial Knight. The Paragon Gauntlet. A Thunderstrike Gauntlet but Master-crafted. Honestly, a little meh for 15 points, especially if it means giving up something like the Mark of Omnissiah above because there’s only one heirloom slot. Ravager. A Reaper chainblade with AP 1 (marginally more interesting at best), Ravager also lets you re-roll failed To Hit rolls of 1. When combined with +1 or +2 WS, this means having an extremely reliable, at-iniative Strength D weapon. For 25 points, it’s not a bad piece of wargear – and one of the few that represent needing to make an active decision over my instinctual default for Mark of the Omnissiah. Sanctuary. For 15 points, you get a 6+ invulnerable save on the facings that are not protected by the ion shield against ranged attacks. This is nice, and adds a little bit of extra protection, and cheap enough that if you’re not taking anything else it might be worth splashing in, but not reliable enough, in my opinion, to count on. There will definitely be games where this pulls you out of the fire, but ask anyone with a Feel No Pain (6+) unit if they’d rely on it – same idea.  Again, the general purpose Mark of the Omnissiah feels like a better deal despite being more expensive, especially as, in my experience, a Knight doesn’t tend to die in a single turn but only by one hull point. Warlord and all Friendly Knights within 12″ of the warlord add one to run and charge distances. One non-Heirloom weapon can be made Master Crafted. The Warlord re-rolls failed To Hit rolls in the Assault phase when he successfully charges. The Warlord and d3 friendly Imperial Knights have Outflank. The Warlord can re-roll any failed invulnerable saving throws of 1. Add 1 to the Warlord’s attacks. This is a really solid table. To my mind Outflanking is the big winner as long as you’re willing to have a substantial portion of your army off the table at the beginning of the game, because that many Knights suddenly showing up in your face is out-and-out terrifying. The only decidedly middling one is the master crafted one, but honestly, it’s hardly useless and can probably be re-rolled. Tactical Objectives (replace 11 to 16). Score 1 VP at the end of your turn is there are no enemy units within 12″ of your own table edge. Score 1 VP at the end of your turn if a Knight issued or fought in a challenge. Score 1 VP at the end of your turn if you made a successful charge. Three or four charges score d3 VPs, and five charges score d3+3. Score d3 VPs if at lease one Super-Heavy or Gargantuan Creature was destroyed. Score 1 VP if an Imperial Knight controls an objective marker. Two or more net d3 VPs. When this card is drawn, your opponent designates a unit. If you completely destroy that unit during any turn, score 1 VP. Some of these are definitely more doable than others, but all of them fit the theme for a full Knight army, and none of them feel contrived, or like you’d have to play against character. The bottom line? The codex is vastly improved. Fluff full of great pictures and thrilling heroics, and a vastly more well-rounded Knight army. I think the army still has some distinct weaknesses, notably controlling objectives and fighting airpower, but both are now “Hard” rather than “Helpless”. The former thanks to Crusader, who can hunker down and send firepower downrange, and the latter thanks to both a dedicated anti-air option and a number of ranged weapons that are dangerous while snap-firing in a pinch. Basically, much needed flexibility and flavor added to a previously bare-bones codex. Any chance for analysis of wraithknight vs one of these knights mano a mano ? There definitely will be – I need to refactor my code for vehicles somewhat, but yeah, I think that’s doable. D Weapons work against SHs, right? Assuming SH is Super-heavy? Yeah. The gauntlet is really good for not many points. Most of the things with powerfists or thunderhammers are in squads, so they can look-out the sword anyway. Squads with enough fists/hammers (eg TWC) to kill you at I1 will normally be able to do so even if you hit 1-2 dead with the sword in my experience. YMMV though! Um, you’ve got the points for most of the Relics wrong. The Banner of Macharius Triumphant is certainly 10 points, but it’s the only one you got right. The Paragon Gauntlet costs 15 points, not 25. So it’s cheaper than you thought, which actually gives it more value. The Ravager costs 25 points, not 30. Sanctuary is pretty cheap at 15 points, but it’s definitely not 30. This is the general utility relic you’re looking for, not the Mark of the Omnissiah, particularly when you combine it with the bonuses offered by the Exalted Court. The Helm of the Nameless Warrior is substantially more expensive than the 15 points you’re making it out to be – it costs a whooping 30 points. Same with the Mark of the Omnissiah – it’s not a cheap 15 points but an extremely expensive 30 points.  Is 30 points worthwhile for regenerating a hull point per game (and you’ve to roll 6 for that, too!)? 15 points, maybe, but at 30 points it’s probably best to sit down and reconsider. Maybe you read the codex wrong or something, but that’s what is printed in my Imperial Knights codex, and everyone else’s. …You are correct. The table for the point costs and the table of what they actually do turn out not to be in the same order. I’ll amend that. Glad to see you amend the points, but you still have one line wrong here. “Again, the cheaper, general purpose Mark of the Omnissiah feels like a better deal”. It’s not cheaper. One general comment.  for next articles better labels on the graphs could make them easier to read. I find myself glancing at graph, then text, back to graph etc.